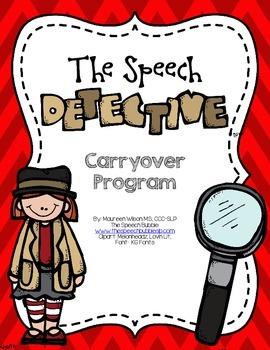 Carryover is one of the toughest things we work on in speech therapy. 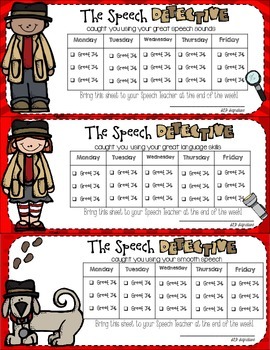 The Speech Detective is an SLP tested, teacher approved program. 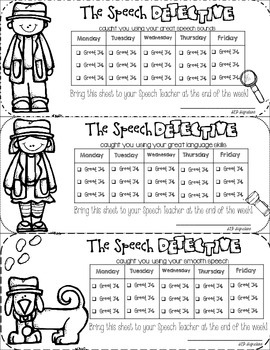 There are 3 different Speech Detective Sheets to choose from: Articulation, Language, and Fluency. 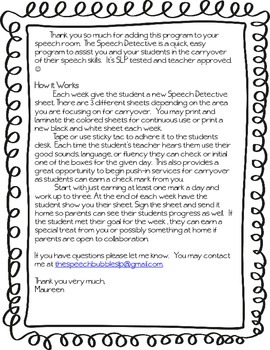 The sheet is taped to the students desk and every time they are 'caught' using their good sounds, words, speech they earn a check mark from their teacher, you, who ever hears them. Set a goal for your students to earn X amount of check marks during the week for a prize! *** Update 2/18/2014*** There are now black and white sheets for each area instead of all three areas on one page!